First published in 1921, Gilbert Murray’s treatise considers a largely euro-centric foreign policy during the inter-war period. Believing passionately in the prospect of a Liberal England and the hope promised by the League of Nations, with Britain at its centre, Murray argues that a secure future can only be obtained through ‘equal law, good government and good faith’. 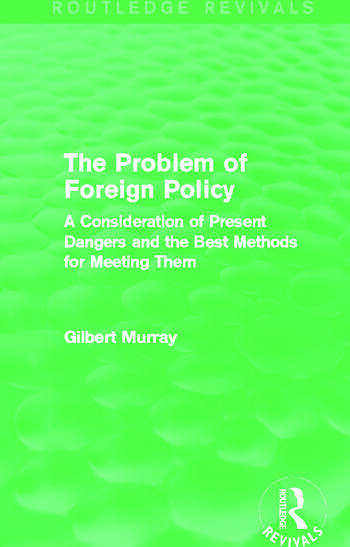 Concentrating on a number of country-based studies, the main focus is on how to avoid the causes of international war; Murray supports the International Financial Commission’s recommendation that this could be partly achieved through disarmament and freedom of trade. This is a fascinating title that will be of particular value to history students researching the inter-war period and the League of Nations.